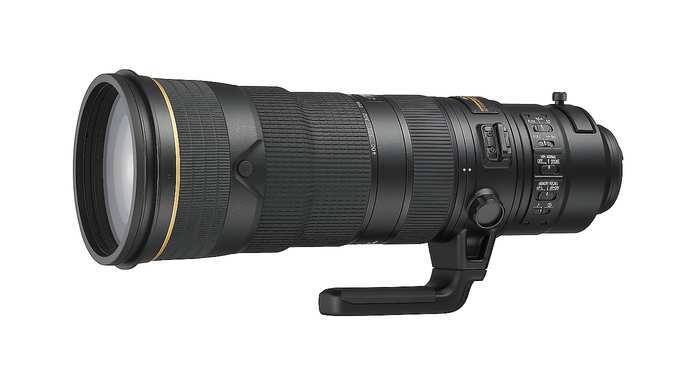 London, UK, 9th January 2018: Nikon announces the AF-S NIKKOR 180-400mm f/4E TC1.4 FL ED VR, the first telephoto in the NIKKOR line-up to boast a built-in 1.4x teleconverter. Always sharp and always steady, this zoom lens allows 560mm of reach the instant the action demands it. From stadium to mountainside, the AF-S NIKKOR 180-400mm f/4E TC1.4 lets you own every advantage out in the field. A solid, well-positioned lever ensures easy, comfortable activation of the teleconverter. Photographers can increase the 180-400mm (f/4) focal-length range to 560 mm (f/5.6) without adjusting their hold on the camera, or taking their eye away from the viewfinder. The advanced optical design ensures photographers can extend their reach without compromising sharpness. And Nikon's Vibration Reduction (VR) allows a four-stop advantage, even with the teleconverter engaged. SPORT VR reliably tracks fast-moving subjects, and advanced autofocus ensures subject-acquisition performance is superb. Ergonomic advantages include the fact that typical zoom- and focus-ring positions have been reversed for more balanced handling, and a fluorite lens element helps keep the weight down. Emma Fergie, Product Manager: Sport Optics, Lenses & Accessories, Nikon UK, says: "This telephoto lens is built to withstand the intense demands that sports and wildlife pros may throw at it. Improvements in optics and design have allowed us to offer greater versatility and a longer reach without impacting on the performance. Extreme sharpness and advanced AF tracking mean you won't ever miss that all important shot and the fully weather-sealed lens barrel make it the perfect companion for when you're out in the field." Built-in 1.4x teleconverter: the 180-400mm (f/4) focal-length range extends up to 560mm (f/5.6). Sharp at any length: benefit from edge-to-edge sharpness throughout the zoom range, even when shooting wide open. Steady at speed: VR enables shooting speeds up to four stops slower than otherwise possible.1 SPORT VR reliably tracks fast-moving subjects. Always on track: advanced AF tracking keeps pace with fast-moving subjects. An electromagnetic diaphragm ensures precise exposures at high frame rates. Field ready: every movable part of the lens barrel is fully weather-sealed. A fluorine coating actively repels water, dust, and dirt without compromising image quality.